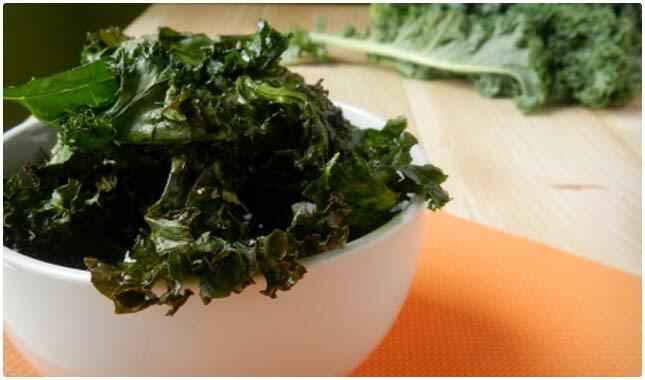 Kale chips are one of the healthiest snacks you can eat. They provide a snacking experience without piling on the fat and calories. When you compare them to potato chips, it’s almost not fair, since kale has such a scant amount of calories. These chips are baked and not fried, which reduces the fat content, and kale has a lineup of vitamins and minerals that puts potatoes to shame. We’ve collected some of the best flavors we could find so you can get in on the healthy snacking craze. Let’s start things off with the most basic of flavors: plain. This will show you just how little goes into the kale chip making process, and draws a stark contrast to conventional snacks and all of the additives and preservatives they contain. Here it’s just the kale itself, some oil, and some sea salt. Pop them in the oven and in 25 minutes from start to finish you have a warm, crunchy snack you can munch on without regrets. Since this is a plain flavor, you can really taste the kale, so this is for those that like the taste of kale. They can also be used for dipping if you’re not fully on board with the flavor of kale. Salt and vinegar potato chips are one of the most popular flavors across the country, so it’s no surprise that this style has transferred to kale chips. You’d better believe that the ingredients are all natural here, using sea salt as the salt, and apple cider vinegar for the vinegar. They’re using olive oil for added health benefits, so you’re really getting a treat for both your body and your taste buds when you eat these. When the kale bakes up, it turns brown as well, so it takes on a different look altogether just like that of a potatoe chip. If you’re a fan of the heat, these would be an option for you. These are the kind of kale chips that you can eat if you don’t plan on kissing anyone for awhile. They combine the spiciness of red pepper flakes with the powerful and familiar taste of garlic, so you end up with two robust flavors on top of what kale already provides. It’s not every day that you can have a spicy, garlicky snack and also top up on your fiber requirements for the day. But that’s what’s on offer here with these kale chips. Sour cream and onion is one of the most popular potato chip offerings on the planet, so it’s no surprise that they’ve applied it to kale chips. This recipe is vegan so it’s not going to use any animal products like sour cream. Instead, the author uses a combination of nuts as a replacement, and they blend them up until they reach a creamy consistency and then pour it all over the kale and bake it up. It’s a pretty clever way to go about it, and make it far healthier than a bag of name brand sour cream and onion potato chips. This kale chip recipe opts for baby kale instead of regular kale, so it’s going to have less thickness, and would be like Lays compared to Ruffles in terms of texture. The great part is that these use just four simple ingredients, and one of them is kale. They’re also having you use red pepper flakes so this is going to be a bit spicy, which you can alter depending on how much of a kick you can handle. And if spice is your thing they point out that you can simply add more to ratchet it up a notch or two. Here’s a unique flavor of chips and they’re inspired by the popular Indian flavor of masala, which is actually a blend of different spices. 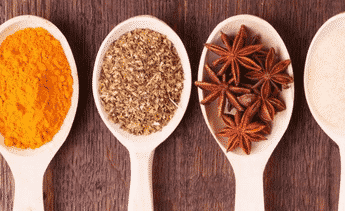 The author used a wide assortment of spices like nutmeg and turmeric, as well as lemon zest and red chili powder. Some of the ingredients are less exotic, like sea salt, which most kale chips end up calling for, but you won’t be disappointed in these. If you’re concerned about your iron or magnesium levels, these chips are a good way to supply it without feeling like you’re eating health food. 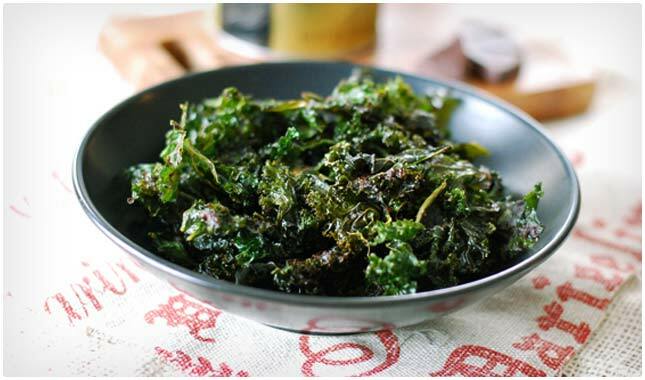 You can’t get much simpler than putting salt and pepper on your kale chips, and these have you coating the kale in olive oil to make sure it all sticks to it nicely. The draw to kale chips is that you don’t have to do much to them in order for them to taste good, and this recipe is proof that less is sometimes more. Like all of the recipes on this page, these are baked, not fried, so the only fat you’ll get from them is the aforementioned olive oil, which actually supplies you with healthy fats, not like the fat you get from partially hydrogenated oils found in many of the most popular name brand snack options. Here’s a way to get the classic taste of tacos on a kale chip so that you can ditch the tortilla shells. If you love the taste of tacos but don’t like having to prepare all of those toppings for taco night, these chips might end up being your salvation. They capture the essence of a crunchy taco without all the work, and they’re better for you. These are actually super simple since you’re using a packet or pre-made taco seasoning. As an added bonus, the author include a recipe that will show you how to make taco seasoning from scratch if you’d rather go that route, of if you find that you have those ingredients on hand but don’t have a packet of taco seasoning. Here’s an interesting take on kale chips where they’re adding a bit of sweet to the mix. One of the best ways to round off some heat is to cool it down some with a sweet flavoring to keep the taste buds guessing. With kale as your canvas you can pretty much go in any direction you want. They’re using coconut aminos for the sweetness, and pepper for the zest so you’ll be getting a unique mix of flavors in each bite. 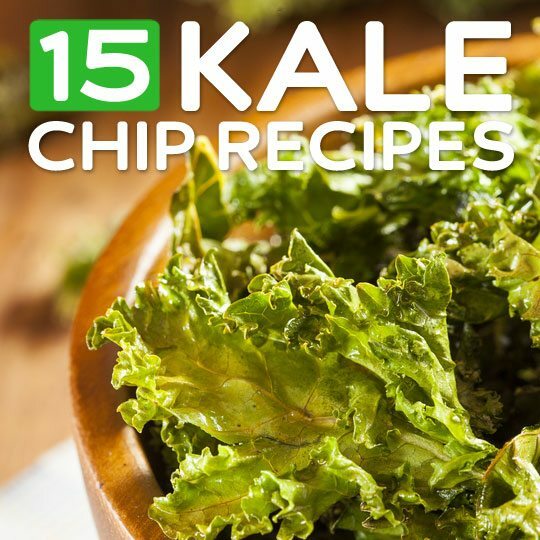 This is a great way to get on board the kale chip wagon and try them out. These kale chips come with a warning that you may end up getting addicted to them. There are worse things to be stuck on, and the use of parmesan cheese is a great idea. It gives the kale chips a rich cheesy flavor without having to resort to knocking out a bag of Cheesy Poofs. In fact, we’re hard pressed to find any other cheese flavored snack that tastes as good on kale chips. Be sure to check out the other benefits kale provides. 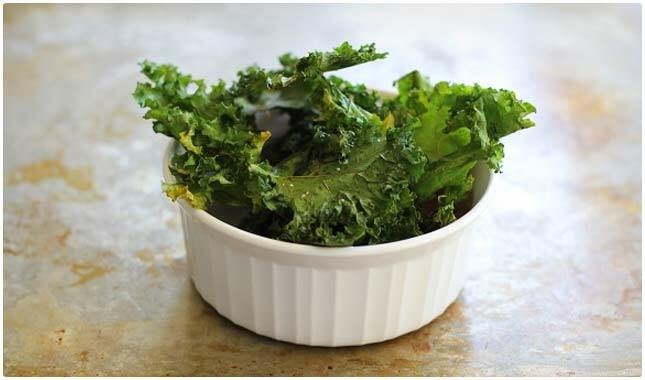 Here’s a kale chip recipe that is taking a different approach to the sweet and spicy goal. They are sweetening things up with a bit of maple syrup, which gets you to put your defenses down, and then brings chipotle in to heat things up just right. Chipotle is one of those spices that warms up your mouth but not to the point of it being painful or entirely overpowering. For even more taste sensation, they’re using a little vinegar which you’ll feel tingle your saliva glands with its sourness. The overall effect is a spicy sweet sour crunchy chip. We just had to include this one, as it brings the widely loved flavor of pizza to kale chips so you can enjoy them without the added fat, carbs, and calories. They are getting the job done without using any of the classic pizza toppings like cheese and pepperoni. They’re using a combination of hummus and tomato paste, as well as some basil and garlic for some classic pizza taste. There isn’t a pizza snack on the planet with as much good stuff going on as these chips have, and you are getting a full dose of vitamins and minerals while enjoying what tastes like a pizza. Eventually someone had to add chocolate into the mix and sprinkle it right over the kale. Here they’re making a spicy chocolate concoction with the use of cayenne pepper as well. To sweeten things up they’re using coconut sugar as well, which helps to further balance the spice of the pepper. The other ingredients are pretty standard, with the obligatory kale and the commonly used olive oil as the oil of choice. The end result is something that your taste buds might have trouble getting a grip on, but will likely enjoy. If you like barbecue flavored potato chips, it’s probably the smokiness that does it for you. These try to re-create that same smoky flavor, and also have some spice added so you’re getting a more intense flavor. The nice part is that it allows for you to add or subtract the ingredients as you see fit so that you can cater it to your own tate. For those that like it really spicy, you can use both red pepper flakes and cayenne pepper and you’ll definitely notice these on your tongue. For those that just want a hint you just add less. Be aware that the olive oil acts to grab onto the seasoning, so go conservative when you first add it, and then add more if needed. Lemon works with kale because it has that sour taste to it, which helps to conquer the robust taste of the kale. 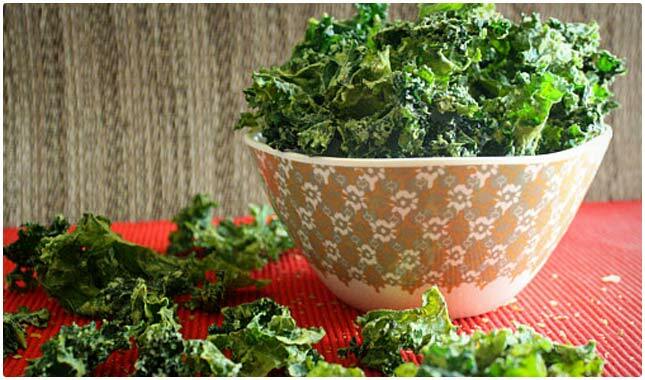 So if you’re not really into eating kale because of its flavor this may be a good recipe to start off on. It’s going to be a lemony, salty snack time treat that you don’t have to feel bad about eating. That’s because you have a combination of kale, a superfood on its own, with olive oil that makes it onto many healthy food lists, and all natural sea salt in addition to the lemon juice which by itself contains antioxidants. 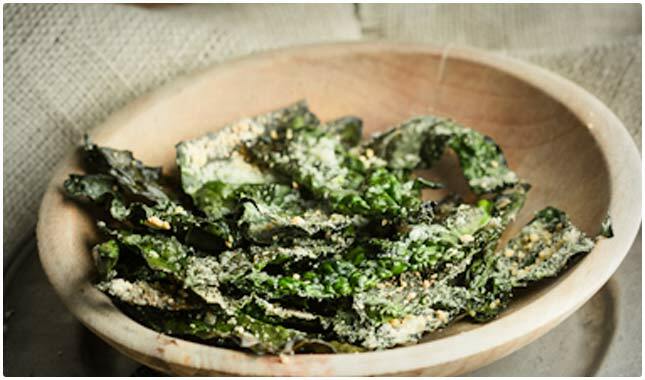 These kale chip recipes should get your creative juices flowing, and really it’s just a matter of taking cleaned and dried kale, coating it in olive oil and sprinkling whatever seasonings you want on it. So open up your seasoning rack and see what might be good on it, or try to replicate your favorite flavor of potato chip. The possibilities are endless, so enjoy! #12 pizza fied kale chips does not link to a webpage. Just godaddy. How can I get these wonderful books about detoxifying the body and mind? Oven temperature is key to any recipe. Unless I missed it this doesn’t say anywhere in the article.